What Are the Dangers of Ventless Propane Heaters? Propane can make a space heater red hot. Propane is not found in nature in a gaseous state. Rather, it is a liquefied petroleum found in both gas and oil wells. The specific gravity of propane is 1.52, meaning it is heavier than air. So unlike natural gas, which can harmlessly drift away in a light breeze, propane will sink to low points and remain there, making it more of a danger than natural gas. In order for propane to burn, or flash, the mixture of air and propane must be exact. According to propane101.com, there must be between 2.15 percent and 9.6 percent of the total propane/air mixture in order for it to be combustible. If the mixture is even just slightly lower than 2.15 percent of even a bit higher than 9.6 percent, there will not be combustion. Using a ventless catalytic propane heater to warm your home is a dangerous proposition. If windows are not left partially open to ensure ventilation, or if you fail to install a carbon monoxide (CO) detector that has a battery backup, occupants of the home may sleep through a device malfunction and never wake up. Hunters and recreational campers often use portable, ventless propane heaters to warm their tents or campers, occasionally resulting in serious illness or death. Some of the more expensive propane heaters come with a safety feature called an oxygen depletion sensor, which automatically turns the unit off if oxygen levels drop below a certain threshold. When heaters without this safety feature are used, it is recommended to purchase a battery-powered CO sensor that will sound a shrieking alarm if oxygen levels drop to dangerous levels. Propane itself is odorless and tasteless. Because of the extreme danger of inhaling propane in your sleep and succumbing to its poison, manufacturers add an odorant to make the gas smell like rotten eggs. But a hunter sound asleep in a closed tent may not notice any smell and can be quickly overtaken by the gas. Even with a CO alarm in place, it is always a good idea to leave some tent flaps or camper windows open when heating with a ventless propane device. Lighting most any propane heater will initially result in a small flash of flame, so be careful of flammable material in the immediate vicinity. 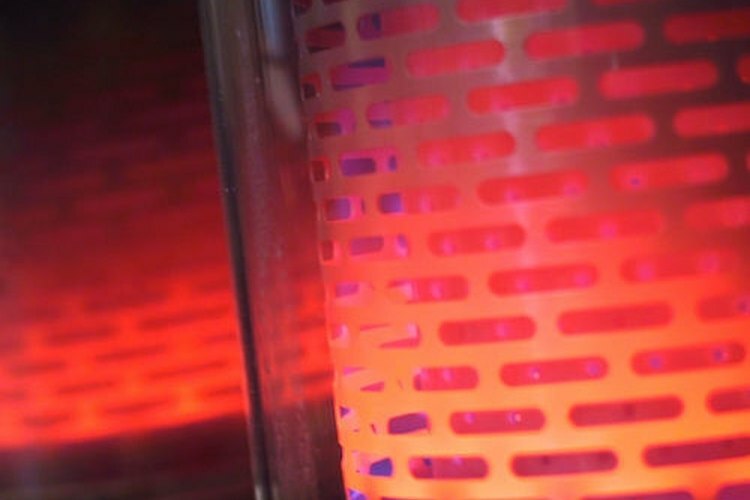 And although the heating surface of the heaters becomes extremely hot, it does not produce a flame. It will, however, melt synthetic fabrics.